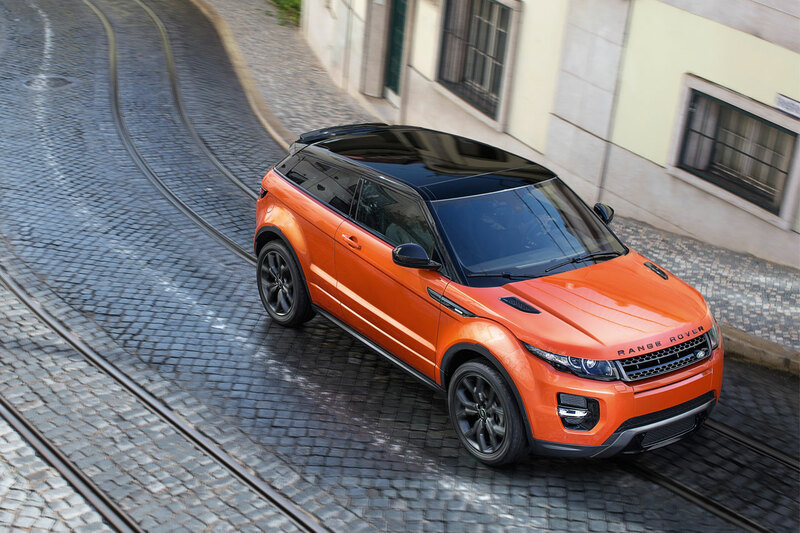 Land Rover is introducing the most performance-focussed derivative to the acclaimed Range Rover Evoque line-up for 2015: the more powerful and agile Autobiography Dynamic. The Autobiography Dynamic derivative features enhanced dynamic body styling, 20-inch forged alloy wheels and premium leather interior details with Autobiography embossed headrests with the option for either the sports or premium climate seat. 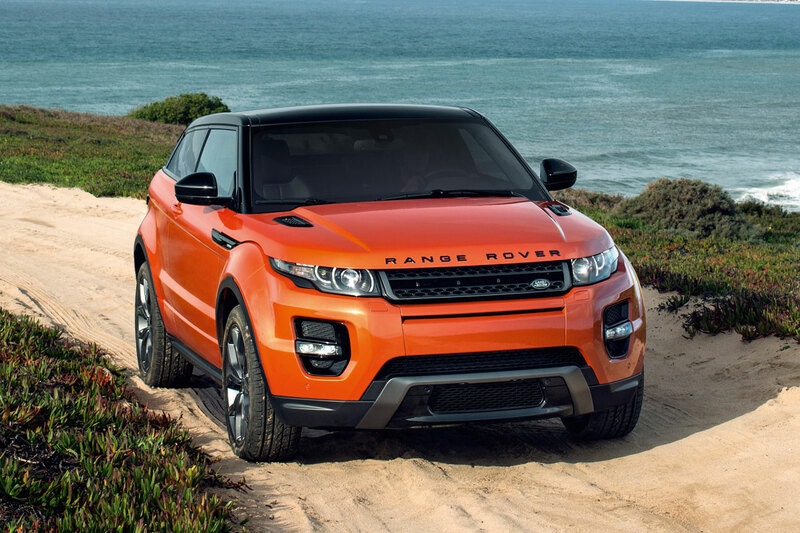 The Autobiography Dynamic’s chassis has been optimised for even sharper handling, while the top-of-the-range 2.0-litre turbocharged petrol engine has been upgraded to produce 285PS and 400Nm – a substantial 45PS and 60Nm increase compared with the existing Range Rover Evoque. A new and striking premium metallic body colour called Phoenix orange also debuts exclusively for the Autobiography Dynamic. Enhancing Land Rover’s existing suite of connected-car technologies, Land Rover InControlTM Apps* also debuts across the range. In a world first, InControl Apps enables vehicle-optimised smartphone apps to be displayed and controlled with their original look and feel from the vehicle’s touchscreen. Owners simply connect their smartphone directly to the Range Rover Evoque through a dedicated USB port to enable compatible iPhone or Android apps to function. Speaking ahead of the official world premiere for the Range Rover Evoque Autobiography Dynamic at the Geneva Motor Show, Murray Dietsch, Director of Land Rover Programmes, said: “When the Range Rover Evoque was launched, it brought a unique blend of innovative exterior and interior design and exceptional on- and off-road capability to the market. It created the premium compact SUV. 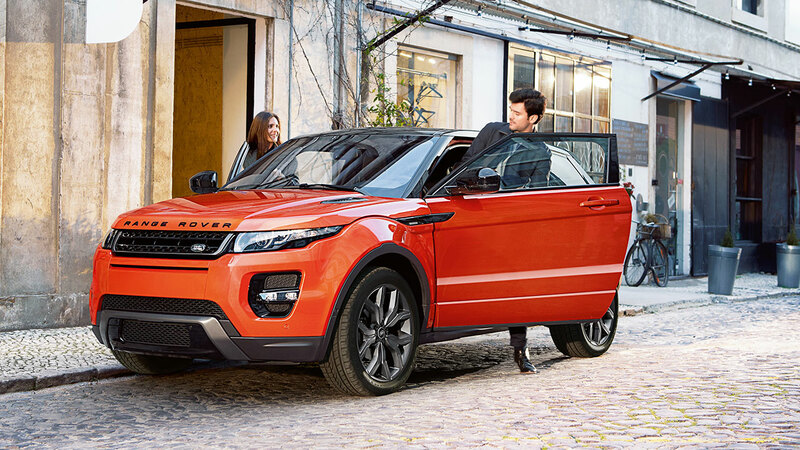 Since its launch in 2011, the Range Rover Evoque has won 157 international awards for its combination of leading-edge design, striking interior craftsmanship, agile handling and off-road capability. With highly competitive pricing, a range of powerful yet efficient petrol and diesel engines, ‘on demand’ active driveline to enhance agility and a responsive, fuel-efficient 9-speed automatic ZF transmission the Evoque continues to appeal with more than 270,000 sales worldwide, making it the fastest-selling Land Rover of all time. 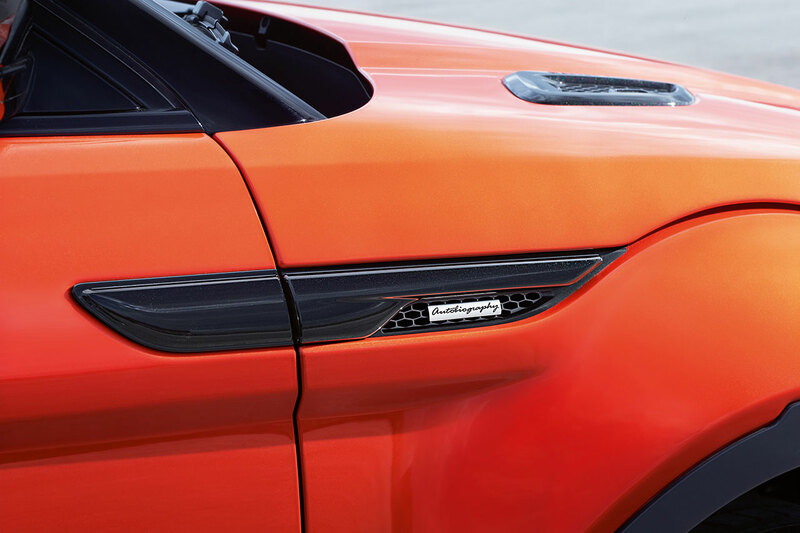 For the first time ever, the luxurious Autobiography name features on the Range Rover Evoque. Autobiography Dynamic is positioned at the top of the range sitting above existing Pure, Dynamic and Prestige derivatives. 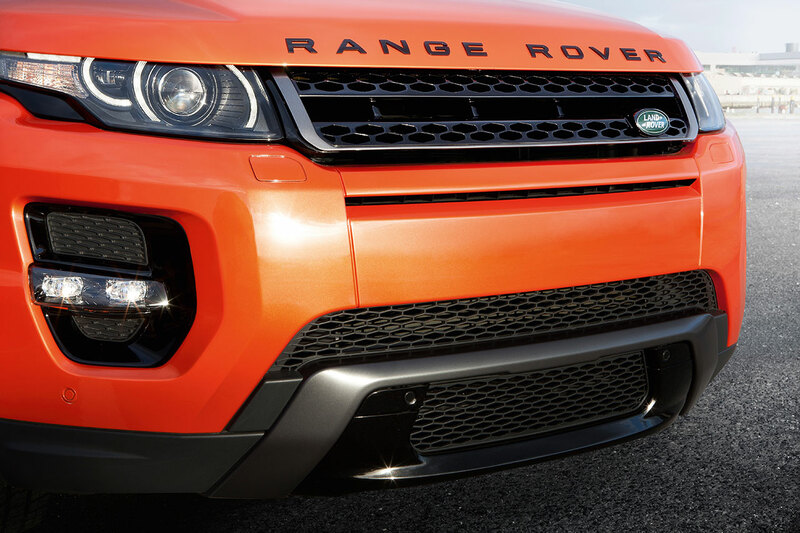 The new Autobiography Dynamic is the most performance-focussed Range Rover Evoque ever produced. Available exclusively with an upgraded version of the range-topping 2.0-litre turbocharged petrol engine, Autobiography Dynamic models are also specified with active driveline as standard equipment, increasing both efficiency and agility. The all-aluminium, direct-injection engine now produces 285PS and 400Nm, a substantial 45PS and 60Nm increase. The performance gains can be attributed to a new design of single-scroll turbocharger, recalibrated engine-management software and a new sports exhaust system tuned for excellent flow characteristics as well as an appropriately muscular sound to complement the vehicle’s enhanced handling. Further increasing driver enjoyment, steering has been specially tuned for additional on-centre precision; the chassis also features upgraded suspension geometry, firmer spring rates and recalibrated adaptive dampers, increasing agility and turn-in response. 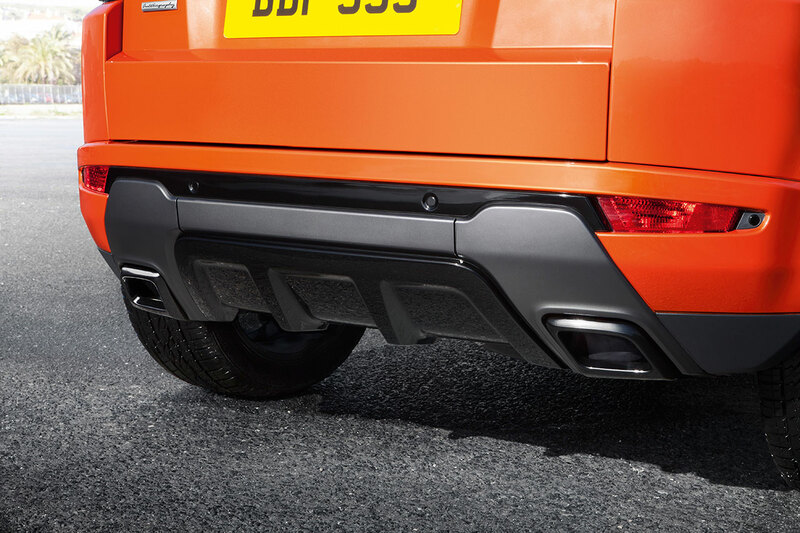 This has been achieved without impacting on the Range Rover Evoque’s compliant ride quality. 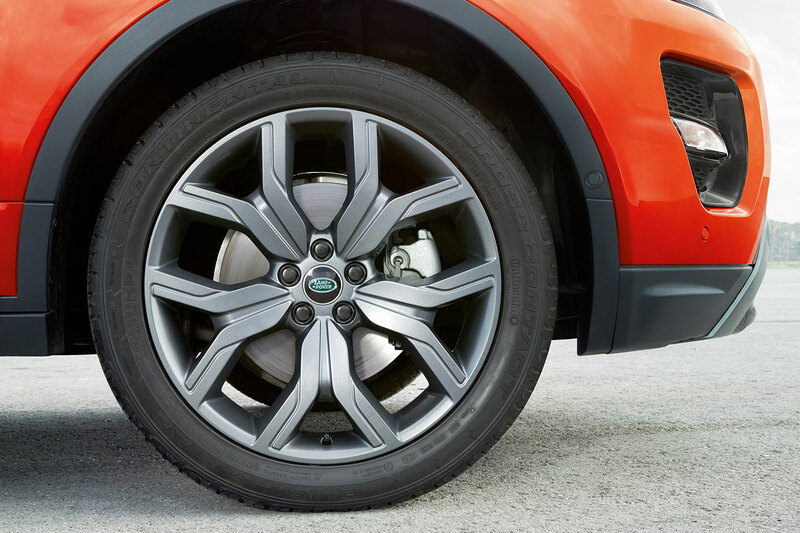 To ensure drivers can safely experience the Autobiography Dynamic’s optimised performance, Land Rover’s engineers have fitted upgraded 350mm front brake discs. The Autobiography Dynamic is available in coupé or 5-door body styles and benefits from enhanced dynamic styling, forged 20-inch alloy wheels finished in satin technical grey and exterior trim components detailed in Santorini black. 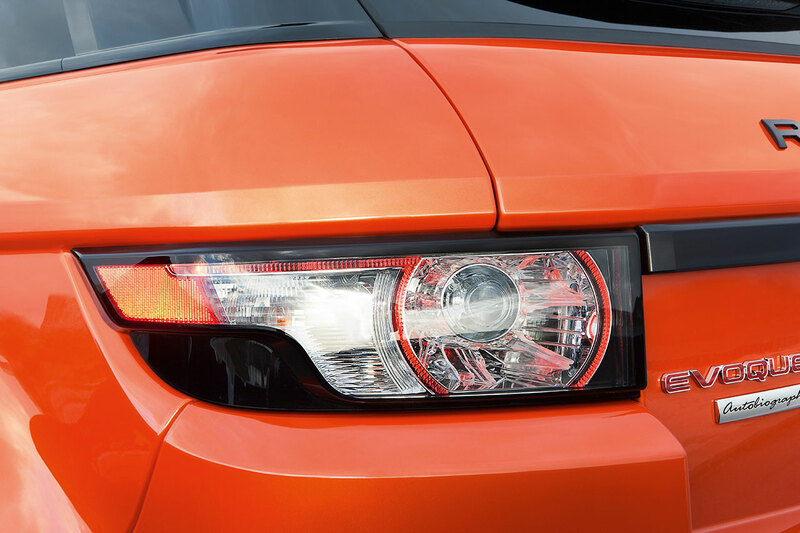 These components include a new design of grille and lower front valance and new foglight surrounds. The vehicle also features ‘Autobiography’ illuminated tread plates and ingot badging on the tailgate and front wing vents, while darkened headlights and clear tail lamps complement the sophisticated, sporting exterior. A Santorini black contrast roof is available as standard, while body-colour side trim visually lowers the vehicle and creates an athletic, purposeful stance. 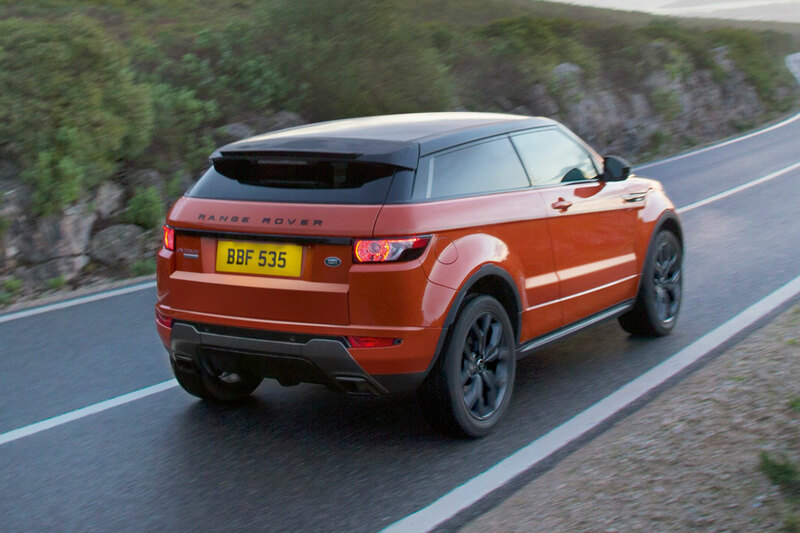 An exclusive and striking new Phoenix orange premium metallic body colour scheme debuts for the Range Rover Evoque Autobiography Dynamic. Inside, Autobiography Dynamic customers can choose from a dynamic plus leather interior with either sports or premium climate seats in a range of four colours. The front seats also feature the Autobiography embossed logo, while the dashboard is highlighted with dark brushed aluminium trim accents unique to the Autobiography Dynamic. The 9-speed ZF automatic transmission with adaptive shift programme has been retuned, responding more keenly to sportier driver inputs, even when left in Drive. The result is a noticeable increase in mid-range performance and gearshifts that seamlessly adapt to driver behaviour. The transmission’s Sport mode and steering-wheel-mounted CommandShift™ gear-selector paddles provide even more driver involvement when desired. Active driveline comes as standard equipment. A revolutionary driveline technology, active driveline improves traction, enhances agility and improves fuel efficiency by engaging four-wheel drive seamlessly and automatically when required. The world’s first four-wheel-drive system of its kind, active driveline seamlessly switches to front-wheel drive during steady-state driving at speeds over 22mph, eliminating virtually all drag losses from the rear driveline. When circumstances dictate, the four-wheel-drive system automatically reactivates within 300 milliseconds. In addition, active driveline optimally distributes torque between the rear wheels, whilst also having the ability to lock them together. This provides improved traction and composure off road, whilst also enhancing performance on road. Meanwhile, torque vectoring by braking (TVB) operates on all four wheels to reduce understeer, and is included as standard equipment on the Autobiography Dynamic. TVB operates on low-grip surfaces, but its capability is extended to high-grip surfaces, ensuring even more agile and responsive handling characteristics. The Range Rover Evoque celebrates a world first with the introduction of Land Rover InControlTM Apps*. This new in-car technology complements the Evoque’s existing infotainment system by bringing the convenience, familiarity and original look and feel of compatible smartphone apps into the owner’s vehicle. Land Rover InControlTM Apps is compatible with the latest Apple and Android smartphones. By connecting a smartphone to the dedicated USB port, specific smartphone apps optimised for in-vehicle use will function on the Range Rover Evoque’s touchscreen, with new content available every time the apps update. Land Rover InControlTM Apps has been developed with some of the world’s leading smartphone app developers so that they are perfectly suited for in-car use, such as satellite-navigation, music streaming, internet radio and location services. Compatible apps available at launch include iHeartRadio for Auto, Stitcher, Glympse, Sygic, Parkopedia, Hotelseeker, Cityseeker, Eventseeker, News on Board, Winston and MobileDay, with the range being continually expanded. Also included is a productivity suite that enables easy access to the connected smartphone’s contacts, calendar and music library. When InControl Apps is selected as a customer option, the owner must download Land Rover InControlTM Apps to their smartphone from either the Apple App Store (for iPhone 5 and later) or Google Play (Android). Once the phone is connected to the vehicle’s dedicated USB port, the owner simply taps the InControl Apps icon on the central touchscreen and selects the desired vehicle-compatible app from the menu. Together, Land Rover InControlTM Apps and its integrated productivity suite enable busy owners to organise their day-to-day lives more efficiently, helping to strike an improved work-life balance. Land Rover InControlTM Apps* is the latest addition to Land Rover’s suite of InControl connected-car technologies. InControl Remote allows owners to summon roadside assistance or the emergency services if required. The InControl Remote smartphone app allows owners to prepare for a trip by checking fuel levels and range remotely, find their vehicle in a crowded car park and check if they have left doors or windows open. They can also download journey details to assist in claiming business mileage expenses. InControl Secure tracks the vehicle should it be stolen.